When I visit the Bean for morning coffee, I often hear conversation about riparian rights. As you may know, North Carolina water law is based on the "riparian rights" concept. Riparian means “of, on or relating to the banks of a natural course of water.” In North Carolina, a riparian owner is “entitled to the natural flow of a stream running through or along his land in its accustomed channel, undiminished in quantity and unimpaired in quality, except as may be occasioned by reasonable use of the water by other like owners.” Most disagreement lies in the definition of “reasonable use”. 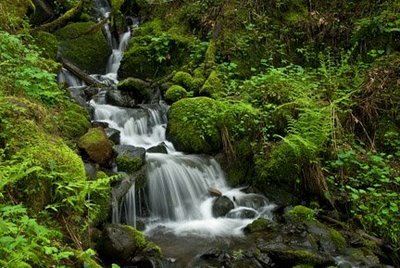 "Reasonable use" means that each riparian owner can take, use, and discharge surface water so long as that use does not excessively diminish the quality or quantity of the water that flows to other riparian owners. All of the riparian landowners have equal riparian rights, and no one owner can unreasonably interfere with the reasonable uses of the others. A riparian owner who uses so much water that it impairs the reasonable uses of the other owners can be sued by the affected owners for damages. And, an injunction can be obtained to stop the infringing use. All customary household uses are presumptively reasonable. Agricultural and industrial uses are only reasonable if they do not cause unreasonable adverse effects for other riparian owners. Questions often arise concerning the ownership of the submerged lands. All land under saltwater bodies, lands subject to the ebb and flow of the tide, and land under water that is subject to the influx of saltwater is owned by the State of North Carolina, "in trust", for the public. Furthermore, riparian owners do not actually own the water itself. All surface and ground waters are legally "waters of the State”. The water, plus the fish and other aquatic life belongs to the State. And, the public does not have rights to travel over private property to obtain access to waters that the public has a right to use. Under traditional riparian law, the public had no right to use the dry sand above the high tide mark on coastal beaches. By custom, however, the public has long been allowed to use the dry sand between the dunes and ocean in North Carolina. With increasing development and public use of beaches, conflicts have arisen when property owners have tried to exclude the public from the dry sand. Courts and legislatures have used various legal approaches to grant the public a formal right to use the dry sand portion of beaches when private property owners have sought to prevent such use. So, my point this week is that we are all downstream of one another. You have personal “riparian rights”, or boundaries, to apply in the flow of your relationships. When you exercise your personal “riparian rights” by maintaining strong boundaries, what others say and do has no adverse effect on you. To strengthen your personal “riparian rights”, visit me online at http://www.FB.com/ReliefWithJulie. My husband, John is a storyteller. One of my favorites takes place on the island of Okinawa. In 1990, John was a Marine Major and his squadron was deployed to the western Pacific. The squadron was operating from Kadena Airbase. Kadena was owned and operated by the U.S. Air Force. The Air Force on Kadena Airbase was not enthused about hosting John’s Marine Corps squadron. The cultures clashed. The Air Force culture is structured and rigid. Marine aviators push the rules envelope. And, the Air Force understands the Marines are under resourced. So, the Air Force personnel guarded their supplies with vigor! Consequently, tension filled the air at Kadena. One afternoon, the Kadena Base Commander contacted the squadron to report the bad conduct of a Marine. This Marine had written three or four bad checks at the Air Force Exchange. The bad checks provided the Base Commander an opportunity to give the Marines a “black eye”. For the Air Force, it was yet another example of Marines running amuck on their base. After all, writing bad checks is a felony offense. Eventually, the situation made its way downhill and John was directed to correct this Marine’s behavior. The investigation revealed the fraudulent checks were cashed in very small amounts. Each of the checks was written for less than ten dollars. With all the information in hand, John questioned the young Marine. This “hard charger” grew up in the hills of West Virginia and had just turned eighteen years old. His life in the Marine Corps consisted of washing and fueling aircraft. Amazingly, this West Virginian enjoyed his life at the bottom of the Marine Corps food chain. He received three hot meals a day, clothes and shoes. Compared to home, life was good for this bad check villain. John was surprised to learn this Marine had no idea he was in trouble. When John asked the Marine why he bounced checks all over Kadena Airbase, the Marine replied, “Sir, when I opened the checking account, they said I get five free checks.” Wow! (This incident occurred when banks charged a small fee for each check written.) The unworldly young West Virginian did not have a complete understanding of what “free” meant. In the end, John did not discipline the Marine. Instead, the Marine received some personal finance training. And, his leaders were directed to keep a little closer eye on him. It is hard to know what others don’t know! John smoothed things over with the Air Force and everyone moved on. So, my point this week is this. Avoid writing relationship checks you can’t cash. Your relationships have checking accounts that contain accumulated capital. Once in a while, a mistake can be forgiven by cashing a check from that account. However, if your personal account with someone else is empty, forgiveness may be denied due to “insufficient funds”. Learn how to put more capital in your relationship accounts by visiting me online at www.FB.com/ReliefWithJulie. 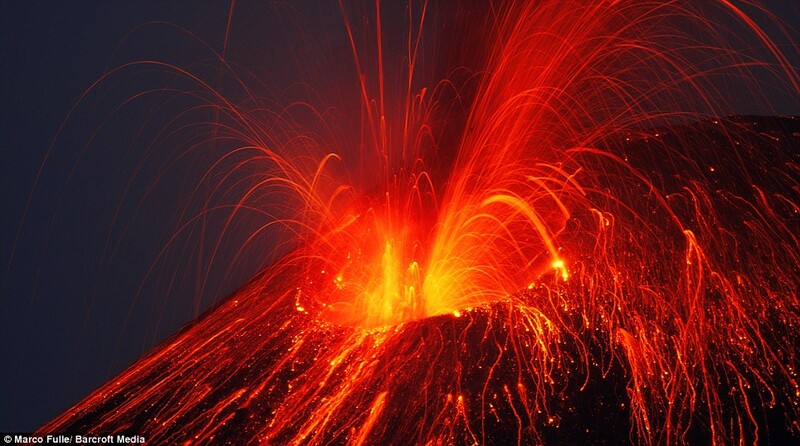 Krakatoa is an Indonesian volcanic island located between the islands of Java and Sumatra. In 1883, Krakatoa exploded causing massive tsunamis and killing over 36,400 people. The eruption ejected five cubic miles of debris into the air and destroyed the island. The Krakatoa explosion is considered to be the loudest sound ever heard in modern history. The explosion was heard 3,000 miles from its point of origin. The blast was equivalent to 200 megatons of TNT and 13,000 times the nuclear yield of the atomic bomb that devastated Hiroshima, Japan during World War II. The Krakatoa explosion was four times more powerful than any nuclear device ever detonated! The explosion cracked one-foot thick concrete 300 miles away and created a 3000-foot tidal wave. Debris fell continuously for 10 days. Shock waves echoed around the earth 36 times and lasted for a month! The sound of the Krakatoa explosion was 180 decibels. For comparison, 180 decibels is 13 times as loud as a jet engine from 100 feet and has enough force to instantly kill all hearing tissue in a human ear. One hundred eighty decibels is a huge number. I suspect readers are familiar with the term decibel but don’t fully understand its meaning. The decibel is a logarithmic unit that indicates the ratio of a physical quantity (usually power or intensity) relative to a certain reference level. The decibel originates from methods used to quantify losses in telephone circuit audio levels. These losses were originally measured in units of Miles of Standard Cable (MSC), where one MSC corresponded to power loss over a one-mile length of standard telephone cable. Also, a decibel is one tenth of a “bel”, a seldom-used unit named in honor of Alexander Graham Bell. The decibel is used for a wide variety of measurements in science and engineering. In electronics, the gains of amplifiers, attenuation of signals, and signal-to-noise ratios are often expressed in decibels. The decibel confers a number of advantages, such as the ability to conveniently represent very large or small numbers, and the ability to carry out multiplication of ratios by simple addition and subtraction. But I digress; back to Krakatoa. Krakatoa eruptions since 1927 have built a new island at the same location. The new island is named Anak Krakatau, which means "Child of Krakatoa". The new Krakatoa is roughly three miles wide and 1,063 feet high. Periodic eruptions grow the island 16 feet each year. So, I tell you about the Krakatoa eruption and decibels in order to tell you this. Happiness requires quiet on the inside. Personal eruptions can be devastating. 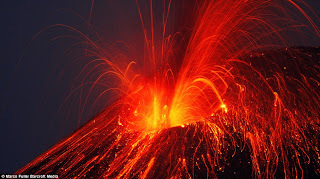 Similar to Krakatoa, festering internal traumas, memories, and emotions can build up to create tremendous pressures. So, avoid your own personal Krakatoa by understanding the source of the pressure. Use your insight to identify the source. Your insight is always there. It is not something you need to develop. And, when you get the right answer, the pressure subsides. Learn how to apply your insight at www.FB.com/ReliefWithJulie. If you'd like a free 30-minute insight consultation, send an e-mail request to Julie@AppliedKnowing.com and put "free consultation request" in the subject line! Last week I wrote about cattle. As you recall, when using your mind, it is important to keep misinterpretations and misperceptions safely fenced. Like cattle, misunderstandings can stampede out of the corral and cause unintended challenges to your well-deserved happiness. I’ve had many conversations about keeping thoughts fenced. Inevitably, my conversations about the thoughts/cattle metaphor digressed to include cow flatulence! So in order to give the Pamlico News readers what they want I expose myself as a cow flatulence expert. Did you know agriculture is responsible for an estimated 14-percent of the world's greenhouse gases? Significant portions of those emissions come from methane. The contribution of methane to global warming is 23 times more powerful than carbon dioxide. The world's 1.5 billion cows and billions of other grazing animals emit dozens of polluting gases, including lots of methane. According to the U.S. Food and Agriculture Organization, agricultural methane output could increase 60-percent by the year 2030. Cows emit a massive amount of methane through belching and flatulence. Statistics vary regarding how much methane the average dairy cow expels. Some experts say about 26 gallons to 53 gallons-per-day. While others say it is about 132 gallons-per-day. In any case, that's a lot of methane and an amount comparable to the pollution produced by a car in one day. Cows, goats, sheep and several other animals belong to a class of animals called ruminants. Ruminants digest their food in their stomachs instead of in their intestines, as humans do. Ruminants eat food, regurgitate it as cud and eat it again. Their stomachs are filled with bacteria that aid in digestion, but also produce methane. In New Zealand, where cattle and sheep farming are major industries, 34-percent of greenhouse gases come from livestock. A three-year study, begun in April 2007 by Welsh scientists, is examining if adding garlic to cow feed can reduce their methane production. The study is ongoing, but early results indicate that garlic cuts cow flatulence in half by attacking methane-producing microbes living in cows' stomachs. The researchers are also looking to see if the addition of garlic affects the quality of the meat or milk produced. Here in the United States, the University of New Hampshire has been awarded a $700,000 U.S. Department of Agriculture grant to create a computer model that measures the amount of greenhouse gases an organic dairy farm produces and thus provide ways to cut those emissions. The study will focus on the waste streams at farms. Using the University’s own organic dairy farm as a testing ground, researchers will measure things like how spreading manure on pastures will affect the amount of greenhouse gases produced. Ultimately, I contend that politicians and “experts” produce a lot of verbal flatulence, or misinformation. Methane may be 23 times worse for greenhouse gases than carbon dioxide. However, verbal flatulence pollutes our minds and produces misperceptions that create much of the dysfunction evident in the world today! Avoid verbal flatulence by visiting me on Facebook at http://www.FB.com/ReliefWithJulie.